A Flying Jatt Review: The Latest Bollywood film featuring Tiger Shroff and the female lead Jacqueline Fernandez on screen today. The famous Australian actor and professional wrestler Nathan Jones acted as a villain of this film. The film has been directed by the Remo D’Souza. The movie crew getting the mixed review from the audience and critic reviewers. The Tiger Shroff dance and stunts got the full positive review and as we all known about this. But, the movie had the lack of story and screenplay. A Flying Jatt movie has made along with the coordination of Tushar Hiranandani and Remo D’Souza in the screenplay. But, the story belonged to the director of this movie. The Cinematography of Vijay Kumar Arora created a massive response from the audience. He also got well credits by the viewers. The technical works on the dance choreography impressed all the audience. The Background score and songs are given by the music composer Sachin-Jigar. He has done his job as well for the hero of this movie. The Awesome love scene in-between the Tiger Shroff and Jacqueline Fernandez is one of the major highlights of this movie. The chemistry between these two pairs completely works on big screen. Fabulous background locations for all the Love. Nitin FCP’s editing has also got well review by audience. The Character of our Hero, Tiger Shroff is afraid of the height. But, he needs to fly in the sky to save this world. How he managed all his situation and how he back to the normal. The Twitter fans tweeting about their experience after watching the movie “A Flying Jatt.” Here we shared some Audience Review for you. @AsliShiva: Watched #AFlyingJatt, it’s full on waste of time & money, no story, no entertainment nothing, even serial #Baalveer is better than this joke. @iTIGERSHROFF failed to show his skills in #AFlyingJatt & even @Asli_Jacqueline performance was not upto to Mark. Overall #AFlyingJatt is very poor & crap film, it has no entertainment value, @remodsouza direction is nonsense. My Ratings 1*. @sandhumerry: Exclusive Review #AFlyingJatt..!!! Totally Paisa Vasool Film all the Way !! #TigerShroff is in Terrific form! After Blockbuster #Baaghi, He is Back with Bang! He Steals the Show all the Way. He Nailed it! 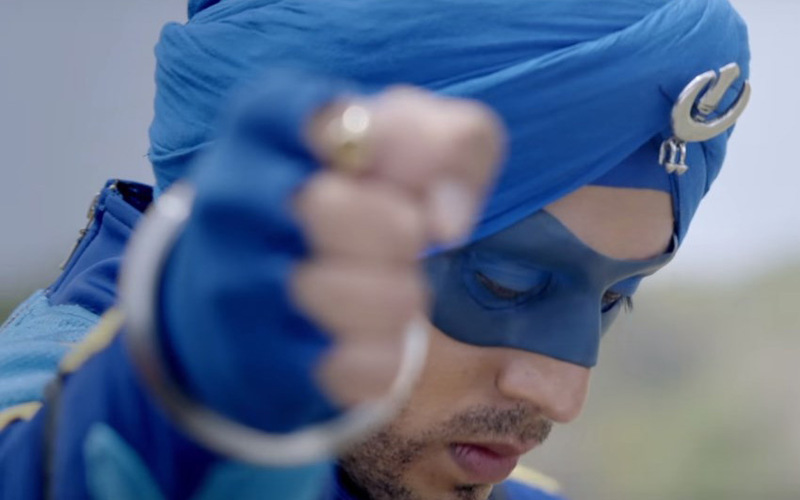 As a Punjabi Superhero, Fans will go Gaga over his New Cool look. #JacquelineFernandez is in Geek Look. But She gave TOP Notch Performance. She looks Stunning throughout the film. #AmritaSingh as a Punjabi Typical Mom, She is First Rate in the film. #NathanJones Welcome to Bollywood! Seriously, He gave Mindblowing Performance as a Villain. Good Performances by all supporting actors. Racy Screenplay, Editing is Sharp, Production Designing is Excellent, Action Stunts Sequences are TOP Rated, Music is already Chartbuster, Dialogues are well written & Hillarious in many Points, Direction by #RemoDsouza is Terrific! Overall ” A Paisa Vasool Popcorn flick “. Families & specially Youth & Children will enjoy this film very much. ☆☆☆ 1/2 ! 3.5/5* Go for it. Kindly refer the Rating Box which is provided here below. 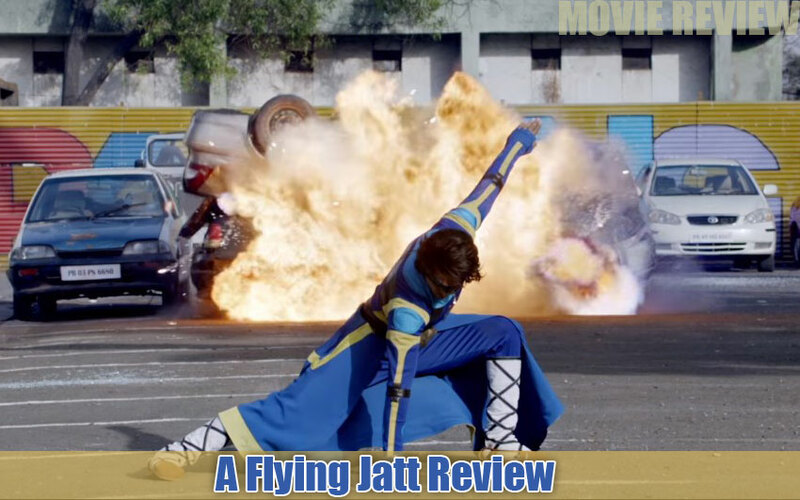 As per the Audience Review and Critics Review, we provided our A Flying Jatt Rating. The Tiger Shroff, Jacqueline Fernandez, and professional wrestler Nathan Jones in the lead roles.